You couldn’t escape it. It was here, rife and potent. It ploughed a path through conventional gaming conversations from the casuals to the parents of gamers that had to put up with the noise, the screaming and the not going to bed because if you didn’t kill John with thirty-seven remote mines stuck to the toilet door in The Facility, well, what was the point of going on with life? All anybody talked about was how good you were at the game or how you defeated three other people with ‘Slappers Only’ in The Archives. A random person would talk to you at the bus stop on the way to school, explaining how they ‘sniped’ their friend’s bonce as he peered his head out of one of the balconies in Complex. Your mum, going about her normal day, tending to your every need whilst you festered on the floor in your School Uniform, complete with tie, blazer and a pair of worn-out Kickers in front of a gamma ray-soaked CRT television on a Sunday because that’s where you fell on Friday afternoon after school, would ask you if you have cleared Train on Double ‘Oh’ Agent yet , whilst politely asking you to stop shooting Robbie Coltrane and Sean Bean in the knees. If you owned it, you played. If you didn’t own it, you played it at somebody’s else’s house. If you didn’t like it, you still played it. If you loved it but there was no space on the screen for you to inflict revenge or casual violence, then you waited. The planned, plotted. The wait was key to defeating Barry, who had taken your title as ‘Supreme Camper’ and wouldn’t abide by the bedroom or front room rules of multilayer etiquette. If you had no one to play with and you had finished the game over and over, unlocking everything possible, you handed a controller to your Dad, Nan or the pet Terrapin. It didn’t matter. Nothing mattered now. This was all that mattered. It decided who made dinner. Who made the tea. Who goes to the shop for snacks. Who bought the beer. Who chose the music. Who chose the next level and weapon layout, cheats and loudness of the TV. It was all. It was everywhere. It was relentless, unforgiving, like a cult or some crazy equivalent of a modern-day social media trend or viral pandemic; try as you might, you couldn’t escape it. 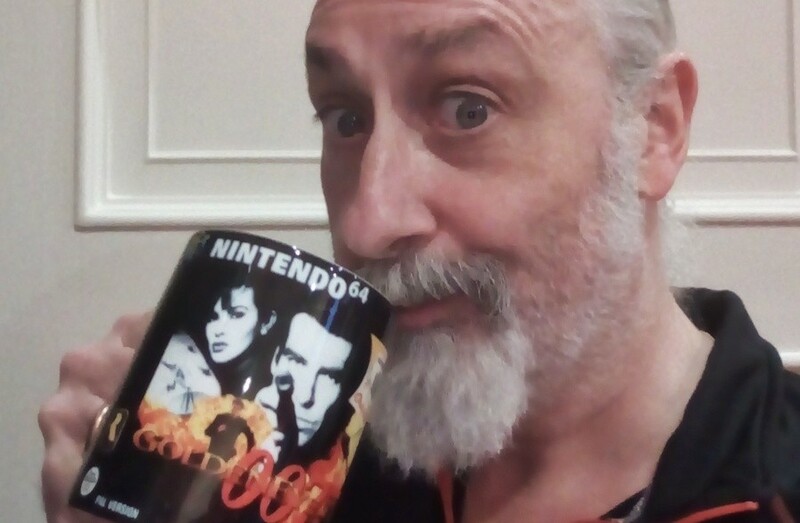 It was, of course, GoldenEye 007 on the Nintendo 64 – and quite frankly if it didn’t exist, the N64 in the UK would have struggled for credibility and justification of ownership form the off. While Super Mario 64 was the console’s killer app in the eyes of many, just as many other players picked up the system to play this groundbreakingly brilliant FPS. 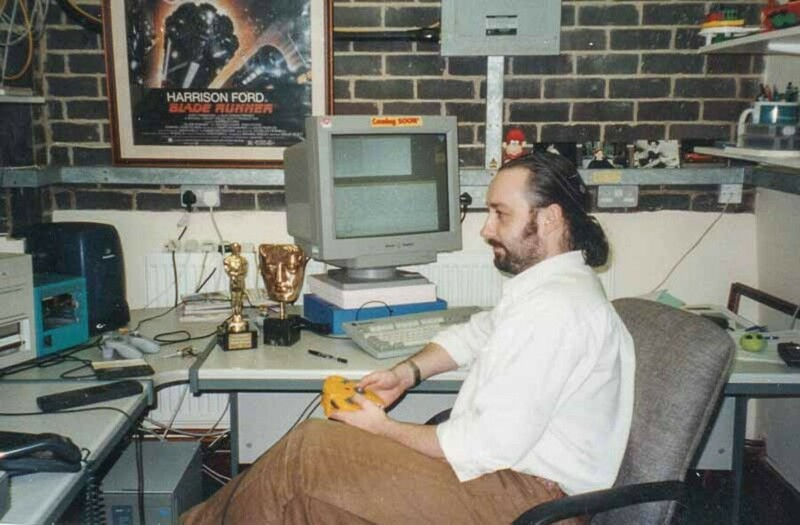 To find out what it was like to work on such a seminal piece of gaming history, we spoke to David Doak, once of Rare Ltd. You may remember him as the helpful scientist who gave you the decoder to open the bottling room door, but in real life it was the writer for the N64 mega-hit, and he still remembers what it was like to see all of that hard work pay off in the shape of one of the generation’s most lauded titles. Nintendo Life: Do you remember the exact moment when the game was released? Was there apprehension between the team, including yourself? David Doak: Things were quite different back then because there was a significant lag – a month, perhaps – between 'going gold' and commercial retail release, due to the time required for cartridge manufacture and distribution. Also there were a number of master versions – firstly US/NTSC, then JAP and EUR/PAL, which were spread out over the late summer of 1997. The time in the lead up to getting 'gold master approval' for the initial US/NTSC was very fraught. It was our first big 'game is done!' moment – so lots of excitement about finally getting there, but also a lot of trepidation. The initial cartridge run was probably less than 100,000 units (I'm guessing) – it wouldn't have been great to have left some game-breaking bug in there! Do you ever find yourself in a situation where somebody is talking about the game, but has no idea you were involved in its creation? It's not that unusual, particularly if I've just got into a casual discussion about games with someone I've met in a different context. It's almost always fun though, because the game is so well-liked and fondly remembered that if I reveal I was involved then it generally makes people happy. Mind you, these days they tend to say, "Not played it myself but my Dad/Mum really liked it." I haven't gotten to grandparents quite yet! At any point, did you and the team at Rare think, "Wow, this is it, we’ve achieved to do what we set out to do?" Certainly not at the time. We were incredibly self-critical and my enduring memory is that we were just relieved to finally have finished making the game. All we could see were the bad things; the compromises and cuts which had been necessary to get the thing finished. In my experience of game dev, that is not unusual; nobody ever thinks their game is properly finished. The impact of the game was clearly felt back then as it still is today; do you still become excited by the prospect of people remembering the game fondly after all this time? As I get older it is an increasingly amazing thing to see impactful the game was, and continues to be. It is such a great privilege to have been part of something which has clearly brought an enormous amount of joy to many, many people. I've spoken a few times about this – it is particularly touching to have 'random' people thank me for contributing positively to their childhood memories. I think it is harder for individual games to have such a deep and lasting impact these days, simply because there are so many of them. I also think that "couch multiplayer", with everyone bunched up together for a good session of friendly banter and shared fun, is one of the pinnacles of video gaming – GoldenEye was undoubtedly a pioneer and an epitome of that. Sadly, much of the social joyfulness of that kind of multiplayer experience is often now lost in online anonymity and toxicity. David tests his work. The BAFTA is real, the Oscar isn't. 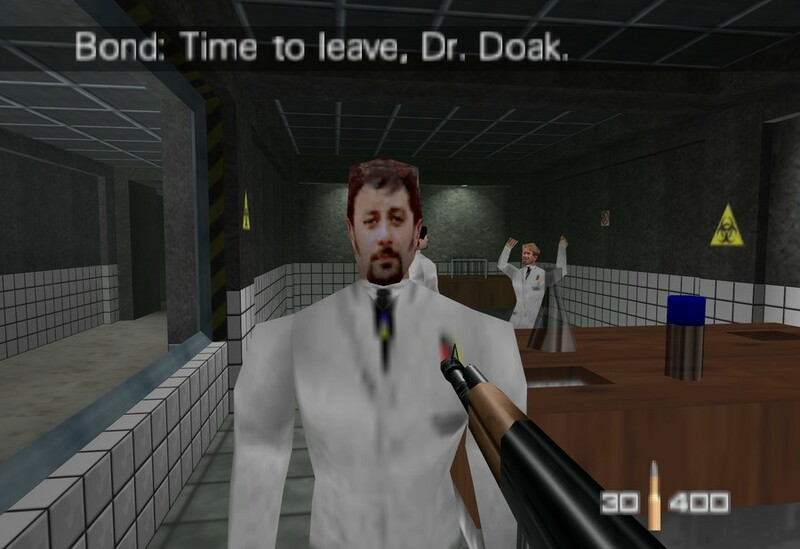 Lastly, do people ever tell you "Time to leave, Dr Doak"? Not so much, more often it is, "I'm really sorry – I must have shot you so many times." – which is always sweet because then I get to forgive them! As we move forward into the newer, more costly ways of playing multiplayer online with people halfway across the world, it’s important to remember that GoldenEye certainly didn’t invent ‘in your house multiplayer’ but it did exactly what David says – "couched multiplayer, with everyone bunched up together for a good session of friendly banter and shared fun" – and outside of Switch, that’s arguably missing in today's gaming community. We're proud to say we were part of the ‘couched’ movement, and the memories it created whilst blowing our best friend up whilst he spun around aimlessly in The Facility toilet. Those days of gaming are almost certainly gone, replaced by heavily-marketed, expensive ways of upgrading your experience to play someone online you’ll never ever meet. Long live GoldenEye. Long live the couch. Recently bought a copy for a short lived retro collection I was building and despite the fact that it has aged like an old trout you could see why it was fun. In fact it has so many elements that made console first person shooters work at all and so a lot is owed to this game. It's a shame the owners of the licenses can't get their heads together to allow it to get a re-release in some form - maybe with some online elements added. still have my n64 cart, a relic of the past for sure. I'll never forget playing this on import for the first time. It blew my mind and I was obsessed from that. Glad I still have my copy and people who say it's aged badly are usually playing on the wrong equipment or have forget how the old FPS games handled. That was a nice featured picture at the top! Memories.. I haven't been able to get into an FPS the same as I did when I played Goldeneye. Call of duty etc just aren't the same. There's something in the formula of free roaming without your hand being held and nowhere to hide local multiplayer. I hope some day the remaster gets released! Yeah, it's aged badly but it's still fun to play with friends as everyone's playing on the same level. That and Timesplitters 2 resulted in some of the greatest couch sessions I've ever played. @BitLounger Nintendo really should have bought Rare lol. If nothing more than for their I.Ps. A few weeks ago I played this multiplayer with my brother and friend for the first time in years. It was the most fun we've had with a multiplayer game in a long, long time. Everyone who says it's dated and unplayable can take a hike. I was in my mid teens when it came out. The N64 was worth it all on its own.I played it again last year and it's still fantastic. What a great atmosphere and style. I pray that, somehow, licenses converge and we see it released again. The game is still good now, play it at least once a month on my USA RGB enabled N64. Nintendo really should of bought Rare! I was never a big fan of the multiplayer mainly because my brother and I preferred co-op multiplayer games but unlocking cheats in the main game was so much fun, I really wish they still made games like this nowadays, ones where you unlock stuff by playing the game and not paying for the extra content, there was so much to love in all of RARE's N64 games, the younger generation won't know how great it was to be a gamer back then, when the internet wasn't really a thing and every secret you uncovered felt like yours. GoldenEye and TimeSplitters 2/3 are still my favorite FPS games. Personally, I love the way GoldenEye controls. I still play it periodically and it feels great. I played Goldeneye 64 religiously as a kid; it still holds up very well today! Really hope we get it ported to the Switch a la virtual console soon. Same goes for Perfect Dark 64! Loving those photos, the hair and the clothes, and that one of the two of them smoking proudly is like a breath of fresh air...can't get away with that these days lest ye face the wrath of the Twitterati/FB Mob etc etc. Simpler times, halcyon days...love it. Ahh! Truly sensational. For myself and so many others, Goldeneye wasn't a game, it was a sport. 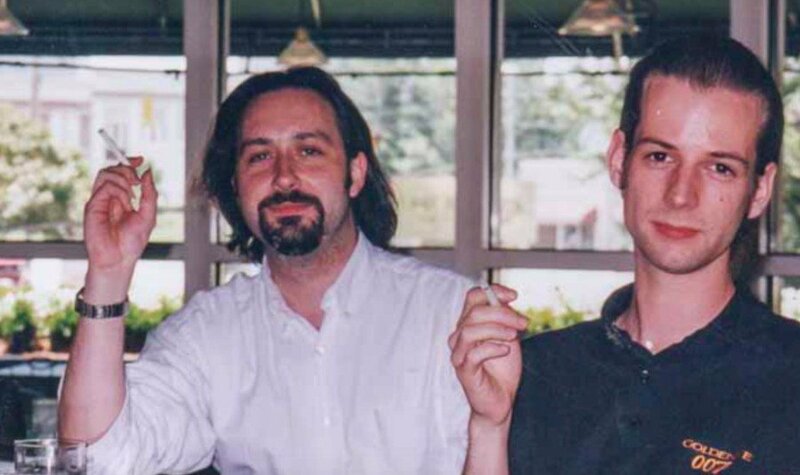 Such great friends were forged through playing 007 Goldeneye. That Asian guy at the front of the group picture is my schoolmates cousin. He also programmed the spinning bananas in Donkey Kong Country if my memory serves me correctly. I always thought that would be a cool thing to have on your list of achievements in life. If it was me, I’d want it engraved on my tombstone. You should have asked what his preferred controller scheme is. I still play GE/PD with a friend. We're currently playing through PD co-op. 11 people made GE? Amazing. 11 people make a better game than 200 or whatever at EA. Love everything about this article! Great man, great game. Should make him CTO at Playtonic Games! Slappers only was silly. The best way to do it was to play one hit kills with rocket launchers, and then be the guy able to dodge around and get up in people's faces for the slap kill. Bonus points if you remember to do the Jaws music while you're at it. Oh, and: unlimited match length + one hit kills + being a teenager = literal all night sessions in front of the TV... Man my brain was mush when the morning came. Loving the Fiat Cinquecento shot. Preach! Although online multiplayer is fun and convenient, nothing beats meeting up with people in person and playing together in the same room. Really exuberates a sense of friendship and bonding online play simply can’t. Awesome interview! Goldeneye is way before my time, but I do have some memories playing my dad’s copy with my brother and a friend. GoldenEye was a great but Perfect Dark..... Perfect Dark is still the greatest first person shooter ever made. The imaginative weapons, sheer volume of multiplayer options, difficulty-led mission objectives, soundtrack and cheat difficulty have yet to be beaten. I'll keep hoping Goldeneye 007 on the Nintendo Switch as a remaster. This game was and still awesome to this day. I’ve never played at all. Or had the desire. A solid single player campaign that did justice to the source material and one of the most fun local multiplayer experiences ever. The moment when everyone would see somebody pick up a golden gun and it would just erupt into mass panic was really special. The farsight gun in Perfect Dark was fun, as whenever someone got targeted they'd inevitably start looking at the other screen and trying to dodge it. I bought it for the Xbox 360 when they remastered it (and have it on Rare Replay), but it wasn't anywhere near as fun playing online multiplayer. @BitLounger Nintendo clearly got out at the right time. Rare has mostly made crap since the sale. There best developers jumped ship at the time, including the Stampers. This game was such an influence back in the day. There was nothing like playing it with 3 friends in split screen. So much agree with you here, so rewarding unlocking things via achievements in game. None of this micro transaction trash we have as a norm today. You couldn’t have said it better that kids will never experience what we did when full games released, full of ways to keep it going. Even the magic of walking into an arcade and seeing what they could pull off visually was wonderful. While kids of the day laugh and call our classics garbage. So is Doak pronounced as one syllable or two? I've heard it as dough-ack, but the way I say it rhymes with oak. "I also think that "couch multiplayer", with everyone bunched up together for a good session of friendly banter and shared fun, is one of the pinnacles of video gaming – GoldenEye was undoubtedly a pioneer and an epitome of that. Sadly, much of the social joyfulness of that kind of multiplayer experience is often now lost in online anonymity and toxicity." The frase of the month. it's ashame will never see this in light of day ever again, unless a company has interested of going back to doing 007 games like this again. @Dilated Exactly, yeah all we can do is try to show our kids what was so magical about the games, I really don't want these games to be forgotten about, developers can learn alot by looking back to classics like these. @timson72 I too absolutely don’t agree with everyone who says this game has aged badly. As you say, I think it’s just a case of getting re-used to the old controls. I play today on solitaire 1.2 controller layout and it’s as fast, fluid and frenetic as ever. I’m playing through it at the mo - It controls like a dream and I actually prefer it to most modern shooters as it’s such a pure, unadulterated game unencumbered by the sometimes stifling complexities of modern day gaming. @musky69 Very interesting, thanks for sharing. Which one is Ken Lobb? Imagine picking the worst gun to stick your name on. Hands down one of the greatest games I've ever played in part for nostalgia. Goldeneye did so many things right that even modern FPS games just don't do. Destructible objects in worlds including lights that actually darken the scene when shot out. Even filing cabinets and tables could be shot (and explode of course). It even featured stealth before other big genres came out with similar elements (Metal Gear Solid, Thief, etc). Graphically it doesn't hold up as well today as other games, but it and it's successor Perfect Dark are unique and great games I still go back and play from time to time. I still remember when this game released in August 1997, I don't think I played anything else for months. @andykara2003 I don't think it has aged badly at all. I would love to see it return in original glory at some point to a Nintendo or possibly Microsoft console (because of rights) potentially at just a higher resolution, but possibly an option for higher resolution texture maps. Still the game in my eyes is still beautiful, especially on a CRT television. The play controls especially hold up well compared to modern FPS games. If you were born in the 2000s this game is gonna be entirely unplayable for you. It was good in it's time though and definitely changed how FPS' are made. @andykara2003 My brain won't let me use 1.2. How do you reload on the move? Oh my God. The main character I remember almost as much as James bond himself is a REAL PERSON? This is pretty darn cool! Wasn't there a remake on the Wii?? @andykara2003 Agree. Just got Turok on Switch and it was so weird using dual sticks. Just takes a little practice sometimes people. I used to have perfect time with the grenades. On a sad note I still have the box but have no flipping idea where the cart is. I need new n64 controlers anyway but still. My first game on the N64 was Mario 64 which totally blew me away. My second game was Goldeneye which also blew my mind! Incredible experiences which we won’t see again in terms of how much they pushed the boundary. Agree with others. Couch co-op was so much fun because the social aspect. I barely saw arcades when a lot of companies focused on them, but there was something magical about them too. It would be so easy to dismiss this as simple nostalgia but it is not the games that meant so much but the interaction they created. Nintendo, for their part, has still valued these experiences but this game, combined with gen x teenagers, was something else. It’s so nice to see so many people who still enjoy playing GoldenEye, most of the time you see a comments section awash with people saying it’s dated and unplayable. If you can still play Resident Evil 4 then GoldenEye should be fine as it’s basically the same control scheme (assuming you use the default control scheme). The thing I love about GoldenEye is that it’s always surprising me, the AI is always doing crazy stuff and enemies often turn up in unexpected places or do unexpected things. Plus the levels are so varied and different that the game never feels samey. The N64 truly was blessed with some absolute classics. Of all the N64 games I own, I never owned GoldenEye. Three friends owned it, and playing 4-player screen for hours was the go. I played the first level or two of the single player on one of their games, and that was it. Two of them were PC Peons and laughed at the idea of a FPS on a console. One of them I had to persuade to wait for GE instead of buying Turok, which just came out. I planned to buy GE; simply never got around to it. I was hoping for a re-release on later Nintendo systems, which never happened thanks to Microsoft. In the meantime, Perfect Dark arrived, and personally, that was better than GE in every way. It was one of the few games in the past 20 or so years I bought, played, and played, until finished without moving to something else. Others were Metroid Prime and Metroid Fusion. I still say PD is the best and most complete game ever. Another fond memory of GE was a local magazine called Hyper doing a game survey that notably had a Best Game Ever category. GE won it, much to the magazine's dismay. Even though it was a multi system magazine, most of the writers were PC Peons, and that GE beat their precious Quakes, Dooms and Half Lifes, and everything else released in the previous 10 years, it was something that nearly choked them. They wrote mostly lame excuses about the game winning, not the game's features that made it the best. Sore losers! The game that defined the FPS genre at the time. It hasn't aged well, but it is still a great couch multiplayer title. @BitLounger Nintendo made the right decision not to buy Rare. 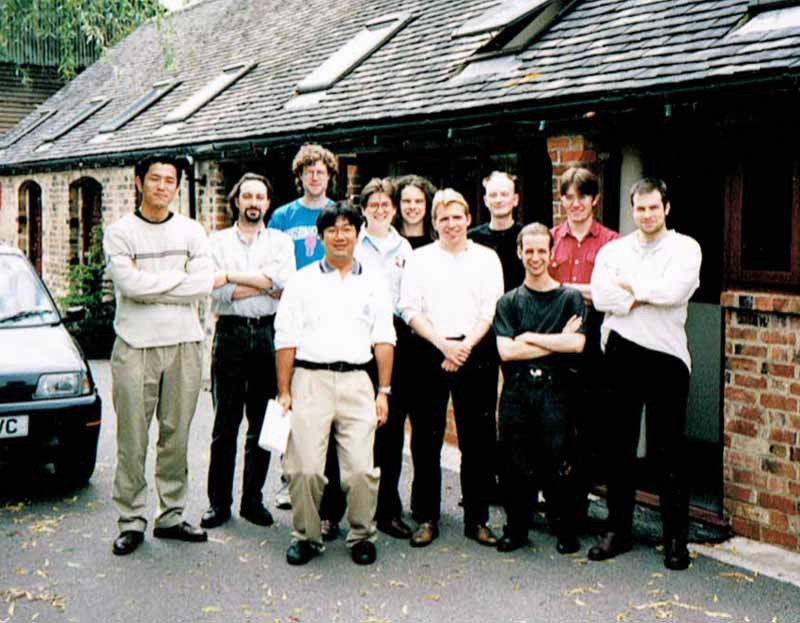 Rare wasn't Rare at that point far as what had made that staff complete and great prior, and while we could argue Microsoft had a bad influence (make Kinnect games), Rare really didn't do anything that notable after they left Nintendo, except for maybe Viva Piñata or Grabbed by the Ghoulies. I still don't know why people claim the game didn't age well. You get way more weapons in the game than modern FPSes, you have far more interactive environment than most FPS games have, you have enemy interaction like you don't typically see in most games, and you have levels which aren't entirely linear. The game still seems more advanced than most FPS games I've played in 2019.